Golden Stag aged rye, a local single malt rye. I'm going to start in on some Bulleit Rye in a few....great minds. Last night it was Newcastle. New favorite. Rolling Rock and Royal Yacht. Still not sure about this Royal Yacht, but it's gonna get a fair shake, fellas. Glenfiddich 18 with a bowl of Bothy Flake. A couple of bottles of Pilsner Urqeull and I'm smoking some aged Escudo in a Kaywoodie Bent Meer. A cup of tea, before turning in. Just finished some Michelob Ultra (aka water), now onto Tullamore Dew with a bowl of brown sugar flake. Camelot Mead Honey Wine from Bloomington Indiana's own Oliver Winery. Pure ambrosia with 10% alcohol content. It's hands down one of my favorite beverages of all time. Beats the best vintage 90's Cabernet Sauvignon by a hair. Breakfast blend tea from Tesco. Fullers 'London Pride' with Irish sausages new potatoes & peas. Followed on by bread & butter pudding, washed down with veterano (Spanish brandy) & ginger ale. All this & more whilst smoking the old st. Bruno. Jameson Irish Whiskey an Condor Plug in a Kilimanjaro meer. A first flush Darjeeling oolong tonight. It's a nice lightly oxidized Darjeeling tea. Left Hand Brewing milk stout. Having an Ayinger Celebrator and getting ready to smoke some irish flake. Bulliet Rye Manhattan, Quiet Nights. Needed something sweet after dinner, so a Brandy Alexander fit the bill. Currently brewing a batch, but then I'll be smoking Vintage Syrian with a local breweries Vanilla Porter. 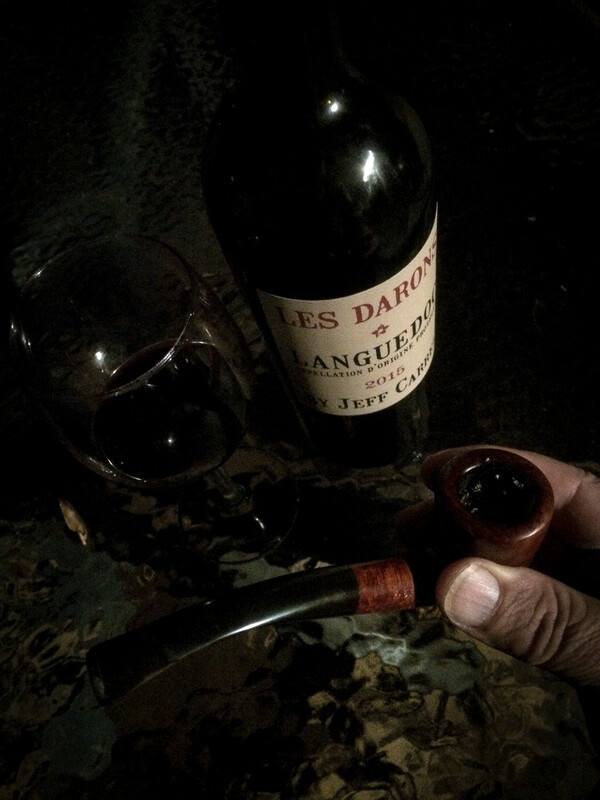 As the night rolls on, I have a cigar (La Gloria maduro Series R), and going to drink some kind of distilled liquor from my burgundy trip. Finishing off the evening with a couple bottles of Coors. Everclear...they were out of rocket fuel. Goes well with War and Dunhill Standard. akfim, I was drinking Bookers earlier, or is that not classy enough? 8am here in The UK, I am the only one logged on. Big mug of Tesco Breakfast Blend tea sat in front of me. Gran Centenario Reposado Tequila & Tonic tonight, while binge watching Stranger Things with the fiancé. Coors is not as bad as most people think. Better than those hipster beers! Coors is pretty darn guzzleable! Sunday night. Iced tea. McClelland 5110 Dark English with a pinch of Lane BCA. Nothing exciting. granville island winter ale, some brown no.4 in a rhodesian. Bushmills Black Bush on ice. [No man has the] right to mislead others, who have less access to history, and less leisure to study it. . . . Thus substituting falsehood and deception for truthful evidence and fair argument.